Whether you are planning to buy a new or existing home, a pre-purchase inspection is a necessary check to ensure the condition of the property in question. This inspection may allow you to renegotiate the offer to purchase and even cancel it in some cases. This is great insurance that will comfort you in your choice, in addition to protecting you when discovering a hidden defect. Certainly, to call in a building inspector has a cost. Moreover, these costs are entirely the responsibility of the buyer. However, be certain that this investment is much less compared to the amounts you will have to pay if you buy a house whose problems have not been detected beforehand. Discover in this article 5 steps for a successful home inspection! Before considering the inspection of the house, the first step will obviously be to find a property to buy. To help you in this process, you can call on the services of a real estate broker. This professional will offer you their services completely free since it is the seller of the house who will pay a commission once the sale is concluded. In order to finance your real estate project, it will surely be useful to find a broker for your home loan. Depending on your situation, the broker will shop around for loans offered by the banks in order to find you the best rate. Again, you pay nothing, as the broker is paid by the banks every time he finds a new customer. Unless you have solid construction knowledge, using a building inspector is an important step in the buying process. At this advanced stage, you have already submitted an offer to purchase. The report of the inspection will assert the conformity of the house. The inspector will be a significant player who can allow you to renegotiate the conditions of the offer to purchase if, for example, the house requires some renovation work. In other cases, it may allow you to cancel the transaction if he discovers serious problems that have never been mentioned. For all these reasons, it is essential to choose an inspector with many years of experience in building inspections. However, be sure to check that he has professional insurance covering errors and omissions in building inspection allowing you to have recourse if you have a problem in the years following the purchase of the house. A home inspection is essential if you want peace of mind during the entire purchase process. You can simply mandate a professional or decide to accompany him during the visit to make sure that the house meets your expectations. During this inspection, the professional will analyse the visible and easily accessible components of the house, in order to detect any problems and hidden defects. The pre-purchase inspection usually comes after you have submitted an offer to purchase under certain conditions. The seller has an average period of 7 to 10 days to accept, refuse or submit a counter-offer (the signed contract will specify precisely the date and time of expiry). The inspection of the building must then return in time to verify the conformity of the house and quickly lead to a sale. Generally, the inspector can give you his report 48 hours after his visit. This delay is necessary to study the photos taken during the visit and carry out additional research on suspicious elements. An inspection report is a valuable tool that includes tips and recommendations that will help you to address existing problems. If your inspector finds nothing wrong with the inspection and the problems detected are minimal, then it is time to sign the promise to purchase. The next step will be the signing of the deed of sale. You then become an official owner! Looking for a professional for your pre-purchase inspection? Call Building Property Inspections Melbourne on 0438 280 420 today to book your pre-purchase inspection. So, you have decided to move on. It’s time to get your precious home prepared for sale. Soon your “home” will no longer be yours. It is time to detach yourself from your house and think about what buyers will be looking for. First impressions last, and your property could be on a long list for sale in your area. In this article we will talk about some tips for preparing your house to step foot on the selling market. There is nothing worse than viewing a dirty dusty home. Give your house a good clean from top to bottom. Even ensuring walls are washed and skirtings are dusted, and please remove mould from the bathrooms! It is also advised to have your carpets cleaned to remove any unpleasant odours and stains. Wash your windows inside and out and consider renting a pressure cleaner to spray down the pathways and exterior of your house. Step outside your front door – Now pretend you are a potential buyer and walk back through your front door – Could you imagine anyone else other than yourself living in this house? Well we want the people viewing your home to be able to imagine them selves setting up home in this house. Books, magazines and knickknacks should be packed away and stored elsewhere. Photo frame collages should also be stored. If you have blank walls, try to find some inexpensive neutral modern art or mirrors to fill the void and give a sense of space. A plant here and there is a nice touch and still gives a homely feel. The most important area to de-clutter is the kitchen bench. As a kitchen is known as the “Heart of the Home” buyers will want to feel like they are getting the most amount of bench space for their money. Put away the appliances, the cookbooks, the fruit bowls – Anything that is interrupting that feeling of space. In the lounge arrange your furniture to show the maximum amount of space for that room – even if that means storing a couch or two in the meanwhile. Within the smaller bedrooms you may like to swap double beds to single beds to emit the feeling of space. While in the master bedroom store away any extra pieces of un-necessary furniture – like bookcases, which can make a room feel busy and cluttered. There’s no deal breaker like an infestation of cockroaches or spiders! Get rid of them now! Also, have your pest inspector find any potential termite issues before a potential buyer does. Prevention is always better than cure and it is always better to have any problems cleared up before your house goes on the market. If your front yard doesn’t look neat tidy and clean, then a buyer is going to wonder if it is even worth looking inside! Mow your lawn, trim your hedges and bushes, weed the garden. Remove any cobwebs and tidy the front porch. Make the entrance to your house feel as inviting as possible. Patch up holes in walls, and repaint brightly coloured feature walls. Fix leaky taps and cracked tiles. Doors that don’t close properly and loose handles should be attended to. Any general maintenance items that can detract from the beauty of your house should be done. There’s nothing more off-putting to a buyer than having their contract building inspection done and finding problems that could have been fixed before the house went on the market in the first place. Not only does it worry the buyers and put all concerned in a stressful situation, it can make it look like the house has not been well maintained by the current owners, and possibly previous too. 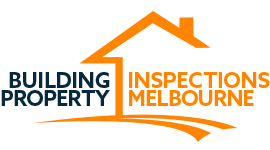 If you’re looking for an honest thorough independent building inspection before you put your house on the market – Give Building Property Inspections Melbourne a call today and we would be more than happy to assist you. Termites are pesky little critters that feed off wood – Plus they eat it from the inside out! They need food, moisture and warmth to survive. They move about in colonies and are divided into groups called ‘Castes’. Within this group there are different members who perform different roles. There is the Worker, Soldier, plus the King & Queen. But how do you know if you have a Termite problem in your home? The first sign of a Termite issue is when you see swarms in your yard as they search in large groups for a new place to establish their colony. They will bore down into fresh turf and soil or into a wood structure, such as a garden box or fence to commence mating. The second sign is their excrement – which looks like thin little pellet strips, usually found around wood. The third sign of termites is the presence of mud tubes that you may find along your foundation, near pipes and or other access points to your home. These tubes are the thickness of a straw or pencil and look like dried dirt. Termites can live in your home without any exterior signs of damage – They could be feeding away at your home’s foundation, furniture, walls and floor boards – But only a professional pest inspector will be able to assess the damage and work out the best solution to fix the problem and get rid of them for good! Ensure taps and pipes are in good working order and no leaks – as termites thrive on moisture. Ensure air conditioning run off pipes are led away from the house and foundations. Regularly clean out gutters and vents. Remove any standing water in your yard or on your roof. Don’t create garden boxes right up against your house. Don’t use mulch in excess in your gardens as this creates a lovely moist environment for termites to nest. Remove any unused stacks of firewood or any other wooden rubbish that may be sitting around your yard. Eliminate any piles that may be sitting up against wooden fences. If you have trees near your house, always make sure you collect debris that may fall down into your yard. It is recommended that you do have a termite inspection by a professional every 12 months, though if you have seen any of the warning signs above it is best to contact us at your earliest convenience to book a thorough building inspection for your house and ensure the integrity of your property structure. https://www.buildingpropertyinspections.com.au/wp-content/uploads/2016/07/building-inspections-property-melbourne-v9.png 0 0 bpimadmin https://www.buildingpropertyinspections.com.au/wp-content/uploads/2016/07/building-inspections-property-melbourne-v9.png bpimadmin2016-12-05 03:09:062018-09-24 05:13:16Termites! MOULD: How does the property smell? Does it smell musty and of potential mould issues? Are there watermarked walls or ceilings? Is the plaster flaking? Check the skirting boards to see if there are any air bubbles or warping. It is also best to check inside all bathroom and kitchen cupboards for mildew. The backs of hanging curtains and blinds can also be checked for mould. Mould can be removed professionally, but this can be costly. There is also the question of the root cause of the mould and damp. A mouldy house is not a healthy house. THE LAND: Don’t just inspect the house! The land is part of the package too. Is there heavy bush around it? Have their been any bush fires in the area before? What about flooding – is the land close to a body of water? Is there a shared driveway or fence? Is the fence built and positioned properly? INSULATION: Invest in a well insulated home. Check the roof cavity to ensure proper insulation has been professionally laid. This can reduce heating and cooling costs and keep you more comfortable all year round. Double glazed windows are always a bonus especially if you receive western sun and live near a noisy road! WATER LEAKS: Always check the walls and cupboards backing onto bathrooms and laundries for moisture. Are there any water stains, mould or corrosion? What about the carpet just outside the bathrooms, is it completely dry? CRACKS: Excessive cracking within a property internally or externally can be a cause for concern and should be inspected by a qualified building inspector. THE ROOF: How does the roof look? Are the lines straight? Are their any tiles missing? Does any restoration work need to be done? Guttering should also be checked to see if there are any cracks or corrosion as this will mean they will soon need replacing. DRAINAGE: Walk around the perimeter of the property. Are there any boggy patches of ground? Or grass patches that are extra green? Look up above and check to see that all roof downpipes are flowing correctly into drains and not just soaking straight into the ground. CEILINGS: Do the ceilings look straight? Shine a torch across the ceiling and this may show up potential defects. PLUMBING: Run all the taps and showers to ensure that plumbing is working correctly, water runs clear and there aren’t any loud noises coming from the pipes. GARDENS: Ensure that gardens are not placed right up against the house at a level where termite and pest inspections cannot be maintained correctly. These checklist items may help you see potential issues with a house before you commit further to a sale, but a professional building and pest inspection for Melbourne buyers is always key to peace of mind and a happy purchase.